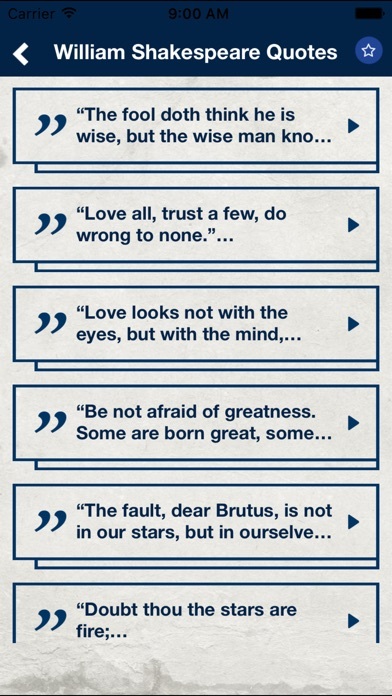 Download William Shakespeare Quotes, Biography & Poems free via AppsHawk. 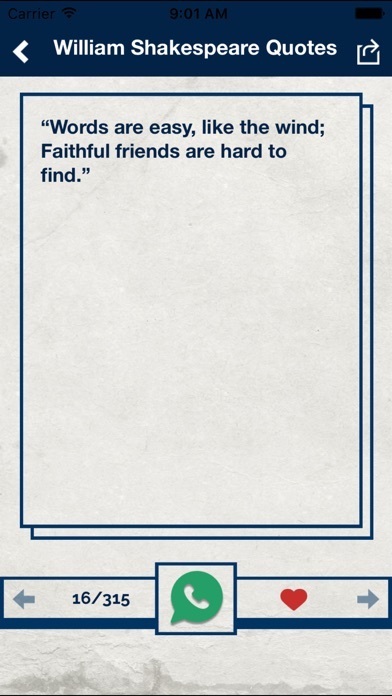 Shakespeare wrote 37 plays in his lifetime. 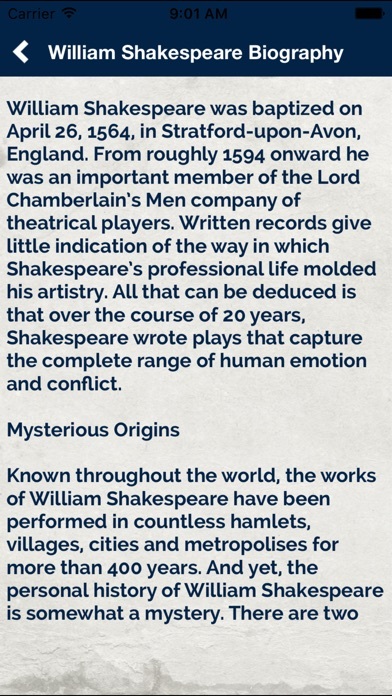 Some of his most famous works are Hamlet, King Lear, Macbeth, Romeo and Juliet, Othello, Merchant of Venice and Julius Caesar. 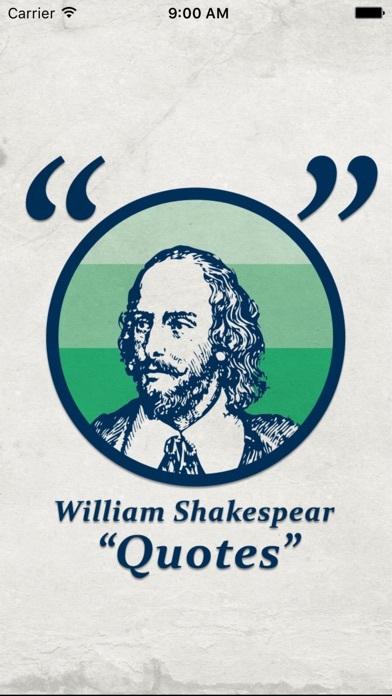 While Shakespeare was regarded as the foremost dramatist of his time, evidence indicates that both he and his contemporaries looked to poetry, not playwriting, for enduring fame. 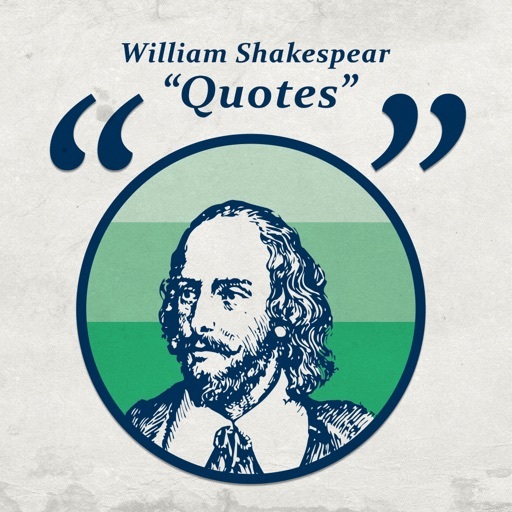 William Shakespeare Daily brings the wisdom of Shakespeare to you in a form of Mobile App, wake up every day, with William Shakespeare's inspiring wisdom, starting today. Download Now & enjoy daily bliss!